Did you know that your credit card has a feature that's designed to protect you from scams, poor quality products or shoddy service? Have you ever wondered how credit card chargebacks are designed to protect you? Imagine that you're shopping online and you see an ad for a painting that would look great on your bedroom wall. You check the price and it fits your budget, so you place your order and offer up your credit card information and shipping details. And then you wait. And you wait and wait and wait. But to your dismay, your painting never arrives. Your credit card has still been charged even though you never received your painting. So what you do is issue a chargeback. Most credit card companies will allow you to initiate the process online, right from your account. The process will involve answering questions about the purchase, the merchant and the reason you're filing a chargeback. Your credit card company will begin an investigation once you have filed the chargeback and they will send details of the chargeback claim to the merchant who charged your card. The merchant will have a small window of time to respond, and if they don't, you will win the dispute by default. The amount you were charged by the company will appear as a credit on your statement. The merchant can respond to the chargeback by proving that they shipped the item in question. Sometimes all that's needed is a tracking number. You should be regularly checking your credit card statements anyway, but when you do, skim for charges you don’t recognize. Make sure you know what each transaction represents. 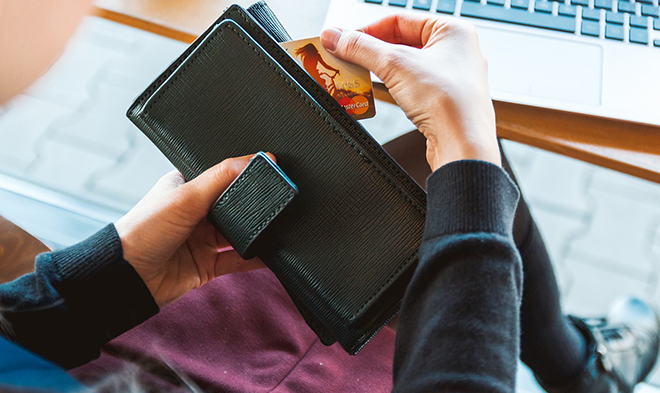 If you ever find anything on your credit card statement that seems fishy, make use of the chargeback feature from your credit card issuer and protect yourself and your credit. Have you ever had to deal with fraudulent charges on your credit card? Let us know in the comments!